With Thanksgiving behind us, and all that scrumptious turkey in us, it’s still not time just yet to put away that carving knife! So, get ready to pass out the party hats, sound those Christmas horns, and don that shiny outfit as we celebrate another month’s worth of our top selling favourites! There’s more merry-making to be done around here, so enjoy! 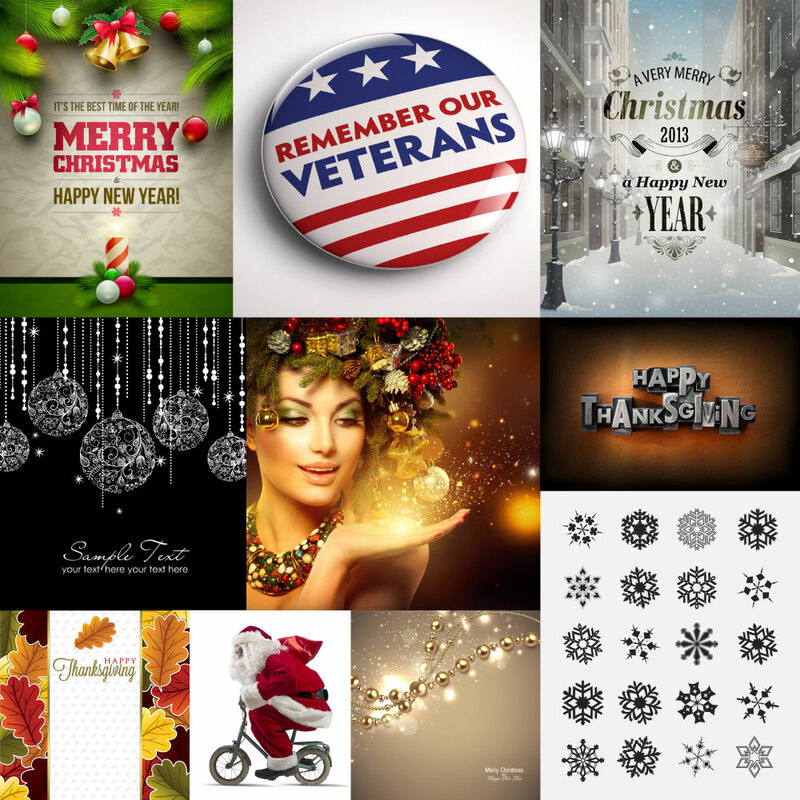 The year end is always our favourite season here at 123RF and is that any wonder? Christmas and the New Year is beckoning, so expect loads of greeting card images, red and green themed illustrations, and lots of golden glitz that you can use to decorate your artwork or design! More merry-making available for your downloading pleasure! Loads of festive backgrounds and illustrations to whet your “art-petite”! And of course, how can we forget about vector icons and useful infographic templates that you can use for all the serious business that you need to do before hightailing out of town for that BIG Christmas do!